Tony Robbins is a larger than life figure who has been leading seminars around the world for decades. Some people remember Robbins from his TV infomercials. Others know about him through books like “Money: Master The Game” and “Awaken The Giant Within.” Outside of his business and writing, Robbins is also an active in charities through his foundation – the Basket Brigade has provided assistance to millions of people over the past few decades. I had the opportunity to see “Tony Robbins: I Am Not Your Guru” film at the Hot Docs film festival in Toronto earlier in 2016. I have read two of his books (mentioned above) and found them useful. I’ve never attended one of his seminars, so Joe’s film gave an inside look at Robbins and his approach to delivering seminars which was interesting. What can we learn about Robbins from Berlinger’s film? In the social media age, the film underscores the tremendous value of participating in live events in order to achieve personal and professional growth. Second, I was impressed by the event management skills Robbins brings to bear (notwithstanding the controversy over the recent Dallas event: Tony Robbins event attendees burned after walking on hot coals ) on these events. It is no small feat to engage and inspire several thousand people during a multi-day event yet Robbins has done it over and over again. 1. Why did you decide to make this documentary? In 2012, I met Tony Robbins at a social event. He invited me to attend one of his events as his guest. I was not deeply familiar with his work prior to attending. I found it to be a powerful emotional experience that had a cinematic quality. In 2014, I started the process of seeking permission to make a film. Robbins had some questions related to maintaining a high quality experience for attendees and some other points. Ultimately, I was able to convince him of my approach through persistence and demonstrating my approach. After viewing my previous documentaries, Robbins understood that I could thoughtfully present complex topics in documentary form. I was eventually able to persuade him through persistence and my track record. 2. Which event did you film? In 2014, we filmed the “Date with Destiny” seminar in Florida. It is a six day event that covers a variety of topics. 3. In addition to the seminar, the film shows Tony Robbins going through his daily routine. What are some of the insights you observed? I noticed that Robbins takes physical health and exercise very seriously. It is a key reason that he is able to deliver multi-hour seminar experiences day after day. Beyond exercise, Robbins also practices daily meditation. 4. Our society is interested in gurus and thought leaders. 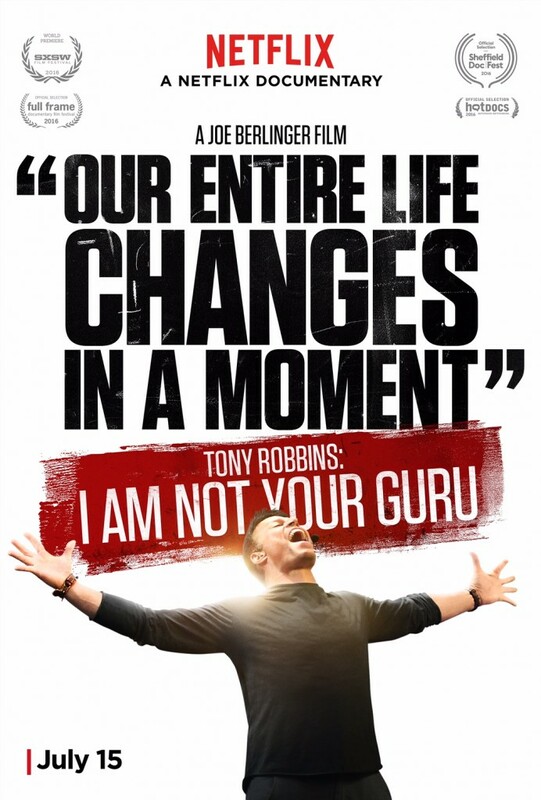 Yet, the sub-title to the film is “I Am Not Your Guru.” What does that mean? Early on, I heard Tony himself say, “I am not your guru.” Instead, his approach is to give you a set of tools understand what you want and then go for it. That could be business success, improving a relationship or health. Ultimately, the best approach is to use his teaching to lead the life you want. 5. Several individuals are profiled in the film who received interventions and other assistance from Tony Robbins and the event generally. What was the outcome? Robbins asked me to follow up with the individuals highlighted in the event a year after filming. That was easy to do because film production takes considerable time. The outcomes look great so far. Several people have transformed their careers and moved into the coaching field. Another person had the opportunity to reconnect with a parent. A couple profiled in the film had an improved relationship. 6. What was the film concept you took with this film? I wanted to use a concert film concept here. Previously, I made a documentary about Metallica (Metallica: Some Kind Of Monster) so I had some experience with that approach. The individual stories of transformation had a cinematic quality. I was also struck by the spirit of camaraderie among the attendees. 7. How do you compare Tony Robbins to others in his industry? I did not take a comparative approach in this film. I don’t go to many seminars so it is difficult to comment on this point. Overall, I think Tony Robbins is the real deal and he’s on a mission to help people. There are some people that regard Tony Robbins fans as cult members – I disagree with that view. 8. Where can readers go for more information about the film? The film is now available via Netflix. For additional information including photos and trailers, please visit the Joe Berlinger Films website. Curious to know what other reviewers thought about the film? I have collected several reviews below for your reading pleasure. What was the most helpful seminar or conference you have attended and why? Making the world a better place is one of the draws to project management. Achieving that goal requires both strong skills and a vision. In reading “Elon Musk: Tesla, SpaceX and The Quest For A Fantastic Future,” by Ashlee Vance, I have been inspired on both counts. Here are some of the lessons and ideas I picked up from studying his achievements. Musk had long been interested in space and rockets. He took that interest much further by studying the fundamentals of the field. Specifically, he put the time in to read textbooks on the field and consulted widely with experts. His ability to understand the details of space and SpaceX products helps connect with staff and build better products. Action Step: If you are an “accidental” project manager or recently changed to a new industry, seek out the fundamentals. When I started in the financial industry, I enrolled in the Canadian Securities Course to develop my industry understanding. In building his first Internet company (which merged with PayPal), Musk faced the challenge of presenting an Internet service in the 1990s. At this point, Internet companies were largely unknown and difficult for many people to understand. What did Musk do? Of course, this principle is subject to misuse like any powerful idea. Keep that in mind and tread carefully. Action Step: Think about your favorite consumer product’s appearance or packaging. How did that appearance help to make a good impression? How can you improve your work with a strong visual? Tech startups are a popular for many reasons including the fact that there are often very low costs to entry. If the founder (or small team) has technical and customer skills, they can create a product quickly without buying expensive products or offices. What if you decided you want to build a new rocket? What if your company’s mission is to make it possible to establish a colony on Mars? Under Musk’s leadership, SpaceX is working toward that vision. However, creating rockets is an expensive activity – over $220 million per launch for SpaceX’s competitor United Launch Alliance. To grow the company and keep it going during the early years, Musk invested a considerable portion of his fortune into the company. Many assumed the company would fail, yet Musk continued to invest time and energy into the organization. Fortunately, his dedication paid off. With an outstanding team of engineers and other specialists, SpaceX has cut the cost of space and delivered impressive technical advances. Action Step: What investments can you make in your own career? Are you still waiting for an employer to pay for your professional development? While employer support is valuable, it is not the whole picture. Invest in your career by reading good books or taking a course. In the project management world, cost management is important. Just think about projects that have attracted negative media attention in the past. Going over budget is a key reason for negative attention. One solution is to improve the cost estimate process. What if you have already improved that process as much as you can? There are other solutions. Consider an illustration from SpaceX. Delivering reliable space launches at a low cost is a key reason for the company’s success in a marketplace crowded with established players. Action Step: What have you always bought at work? Do you have a supplier or product that you buy year after year without giving it much thought? Like SpaceX, you could look at developing the product internally or look further afield for new suppliers. Tesla Motors has become the producer of the world’s most successful electric cars. That achievement took years of struggle. At first glance, creating such a vehicle may seem an impossible challenge given that the car market was dominated by large companies with decades of experience and billions of dollars. How did Tesla and Musk approach this market? Tesla’s strategy was to build a high priced sports car first, rather than a mass market model. How expensive? At the time of this writing, the starting price for the Model S is approximately $90,000. At that price, there are few customers who are able to afford it. As a small company, Tesla can grow with a niche market. According to interviews with Musk, future models will be produced at lower prices. Action Step: Look for ways to increase your value by specializing in your career. Of course, there is risk you may specialize in an area goes out of fashion. That’s always possible. You can reduce that risk by implementing principle 6 below and developing “business superskills” such as sales and marketing. In a 2013 interview (see Further Reading section), Musk explains his innovation success by referring to physics. He points out that reasoning by analogy is a reliable way to get through the day. However, if you are looking to achieve truly dramatic change, reasoning from first principles tends to produce much more value. This is a powerful idea that deserves further study and exploration. Action Step: Read “An Introduction to Mental Models” by Shane Parrish on the oustanding Farnam Street blog for a powerful introduction to this topic. Are your math skills and physics knowledge less than stellar? I suggest looking at the math courses offered by Khan Academy. This article serves to highlight a few lessons from Musk’s achivements. There is much more to the story. The companies referenced in this article include some of the world’s greatest engineers who have been willing to work incredibly hard hours. To continue your journey, consider the following resources. “Elon Musk: Tesla, SpaceX and The Quest For A Fantastic Future,” by Ashlee Vance. This book is my primary source for this article. 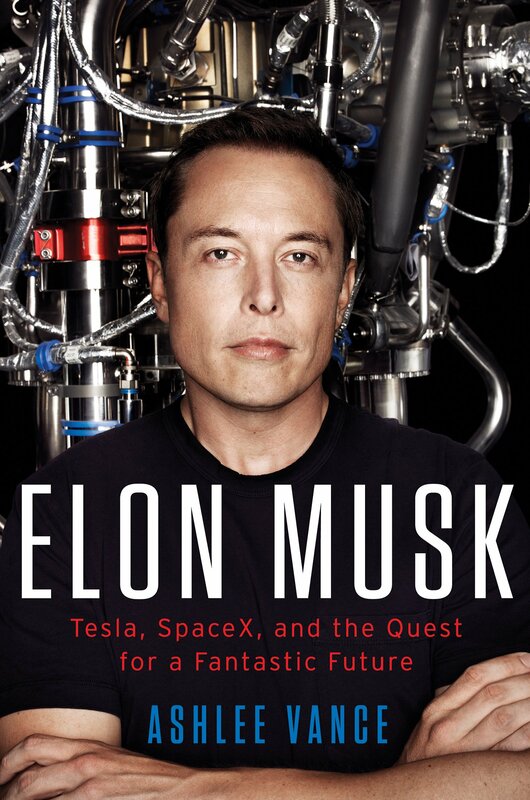 If you are interested in more details on the companies, Musk’s many challenges and other points, the book is a great read. Elon Musk: The mind behind Tesla, SpaceX, SolarCity. This 2013 interview with Chris Anderson is outstanding. It could be the most inspiring 21 minutes of your week, if not your month. In the interview, there is a video of a rocket landing on Earth after a launch. This incredible feat was actually accomplished in Dec 2015 – SpaceX’s Falcon Rocket Finally Sticks the Landing. Elon Musk’s Top 10 Rules For Success. Created by entrepreneur Evan Carmichael, this 6.5 minute video draws great lessons from Musk’s achievements. Rule 10 is “work superhard” (e.g. working 7 days per week to work on PayPal). As we look ahead to 2016, let’s look for new ideas and perspectives to improve our projects. 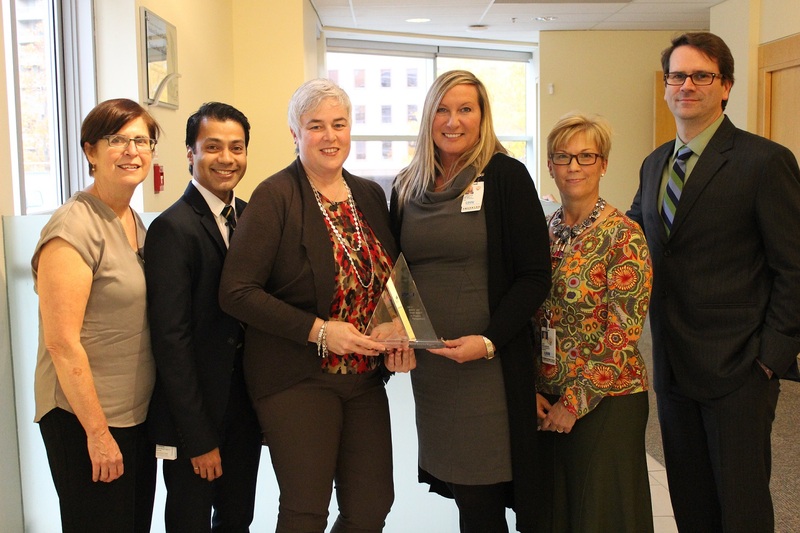 An excellent starting point is the University Health Network (UHN) in Toronto, Canada which won the 2015 PMI Award for Project Excellence – North America award from the Project Management Institute earlier this year. This project has great lessons for us to learn, even if you have never worked in the health care sector. Project Purpose: Improve health care efficiency and patient care by delivering better digital tools to UHN professionals. Joanne Hohenadel is a senior project manager at the University Health Network. Her focus on the project was on the build and implementation aspects of the project. Joanne shared her perspective on the project in an interview with Project Management Hacks. 1. Imagine I’m a patient and seek care at UHN. What improvements will I notice and care about as a result of this project? You will see better tracking of your health information. There will be less time wasted hunting for paper charts and forms. As you interact with different professionals, your information will be available to each professional from any computer throughout the hospital. Overall, you will experience more consistent and effective care. 2. Delivering efficiency improvements was a major focus for the project. How was this delivered? 3. Does UHN have a goal to become a paperless organization? If so, how does this project fit into that goal? It is an ideal to reach 100% paperless. There is still a long way to go to become paperless. Our first area of focus is patient documentation digitization. At first glance, paper may seem more convenient. Unfortunately, paper is easily lost and cannot easily by shared by multiple people at the same time. On the other hand, there are limits to digital tools. I still hear comments today that some of the systems require too many clicks to enter data. 4. How does this project improve timely provision of patient care? It comes down to connecting information to our professionals when they need it. Once patient documentation becomes digital, we have the ability to monitor and provide alerts. It helps our staff become more proactive and timely in providing care. 5. At first glance, this project appears to have a pure technology focus. In fact, developing relationships and collaboration within the organization was a key goal. Tell us about the collaboration objective of the project. Our success in inter-professional collaboration was a key reason I think this is an excellent project. Some of our professionals perform an assessment while entirely different groups use that health assessment. I learned that there are eight ways to take a patient’s temperature! Some methods are necessary for certain patient conditions and only used in special circumstances. The digital tool needs to support this but at the same time be efficient by providing ways to easily select the most commonly used methods without scrolling through long drop down lists. Also, different health professions use different terminology for the same or similar things. It was necessary to standardize some of this language when building digital tools, helping health professionals across the organization to share common understandings of a particular term. To foster collaboration, we designed working groups that brought representatives of the professions together. We had nurses, physicians, speech and language experts and others in conversation during this project. Through those discussions, the project team was able to better understand clinical needs and workflow across professions. 6. A key contributor to the project’s success was participation in the University of Toronto’s Educating Health Professionals in Inter-professional Care certification program. What were the benefits of this program for your program? It was the first time that project and technical teams went through this kind of education. The first benefit was creating a culture that viewed these key supporting professions as part of the health care team, a common identity. The program also provided excellent assistance in helping our team understand different perspectives. In health care, each profession has specialized language and terminology. This specialization sometimes creates communication difficulties. Going through this education program was a key reason for our improved inter-professional collaboration. 7. The project involved many different types of stakeholders with different backgrounds. What was your approach to stakeholder management? Our stakeholder management approach used a few principles. We took advantage and encouraged “eager beavers” who volunteered to participate – it was great to work with stakeholders who are excited about technology and innovation. However, we needed to also be strategic. We needed good representation from the hospital sites and relevant professions. We needed leaders and we needed point of care expertise. We tried to engage resistors of change as well to help them understand and eventually promote the project’s benefits. Our approach to stakeholder management was a hybrid of volunteers and nominees to ensure we had the right people at the table. 8. What was your approach to change management and control in this project? Our project had a sophisticated change management process. For example, we had guiding principles to evaluate each change as we moved through the process. These guiding principles made a big difference in bringing clarity to change request discussions. Major change topics of discussion included how to sequence our work and what to build first. We had to make some tough decisions related to additional tools and reports that needed to be added to the scope and, if something was added, re-evaluate what had to be taken away. 9. What was your approach to “hand holding” and providing support? In the past, we had challenges with creating a sense of ownership for the project’s deliverables. We used to have the challenge of stakeholders feeling as though projects were done TO them. It’s much better to have a partnership view where everyone is doing the project together. We certainly provided support and training during the project as needed. However, we had great success with a “train the trainer” approach where one clinician would be able to support a peer. In addition, we ensured that project communications came from a variety of sources not just the project team. Most of the project announcements came from the project clinical sponsors. That communication approach helped to create a sense of ownership. 10. This project emphasized a “Big Bang” approach to implementation. Why did you adopt this approach? Ultimately, we adopted a hybrid go-live approach that combined technical “Big Bang” with a staggered roll-out approach. We launched the project at each hospital and made sure to have support available. This go live approach worked out well and we had good adoption.